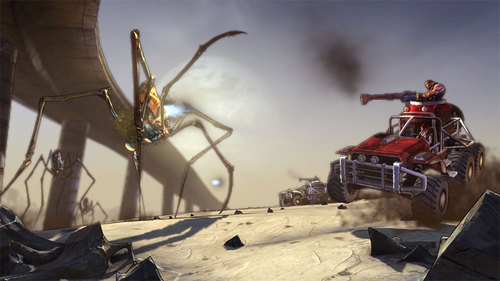 A Borderlands update has added 250 more GamerScore to the game, bringing it's total up to 1500 points. The achievements will be added with the Secret Armory of General Knoxx DLC and they confirm a few things that have been rumored for some time. It appears the level cap will now be 61, up from 50. The new vehicle is called "The Monster," though it's still unclear exactly what it does and how many folks can ride in it. Finally you'll be inflicting massive damage on a new boss called Crawmerax the Invincible, who I'm pretty sure, is a giant robotic history crab. Four player co-op crab slaying...ahhhh yeah. There's still no date or price for the DLC, but with the achievements leaking out you can imagine we'll be seeing something soon. Page created in 0.2317 seconds.